Cowgirl Chic beats Hippie Chic this season. Summer trends are generally very one dimensional. Although florals, bright colours, cut-off denim and anything boho are great looks, for these warmer months you should channel the Western-look. 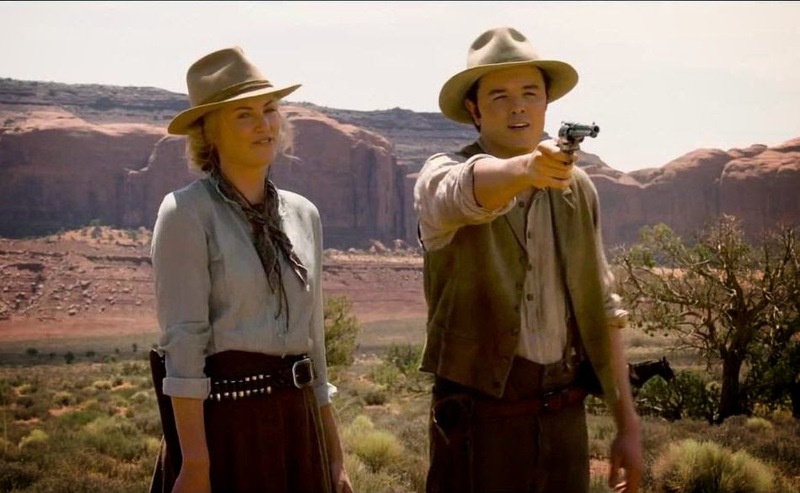 Seth MacFarlane's hugely disappointing and completely unfunny A Million Ways to Die in the West had only one thing going for it: Anna (Charlize Theron). She's a badass. She's smart. She's cool. And she rocks those cowboy boots, that long skirt, that button-down shirt and fedora. Costume designer Cindy Evans has also worked on Thirteen (2003), Lords of Dogtown (2005), Red Riding Hood (2011), Savages (2012) and August: Osage County (2013). Another one to keep an eye on. Although everything about Anna is basically perfect, it may be best not to attend any square dances held in a barn. Just a thought.